Your brand marketing deserves to stand out. Our award-winning creative team craft content and campaigns that have a real impact on clients and consumers. Our mission is to bring beautiful content and big agency strategy within the reach of everyone. We focus on providing results-driven visuals and video to give your company a competitive edge. Stock photography doesn’t cut it. Commissioned photography gives your business a professional image. 67% of people say the quality of photography is paramount in their purchasing decision. 46% of companies say photography is critical to their marketing. 7/10 companies say video is the most effective content marketing tactic. 40% of consumers state video increases their chance of purchase. 73% of people respond better to branded content than magazine advertising. While 54% of companies state their biggest challenge is producing content that engages buyers. 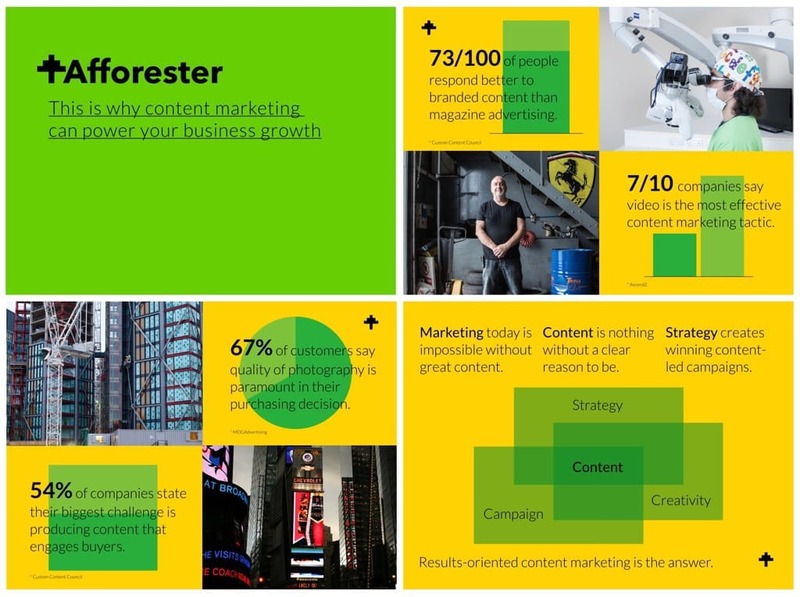 Want to learn why content marketing can power your business growth? Matt is an expert brand and content strategist. He provides distinctive creative direction, digital technology and writing expertise. Matt has directed and produced award-winning films, television & live events, authored books on content creation, and presented globally. Hugh is an experienced photographer, videographer and editor. He melds technical craftsmanship, a unique eye as a Fine Art postgraduate, and a key understanding of client needs, that only comes with over 20 years of creating visual experiences. We promise: minimal meetings, managers & fuss. Maximum results, creativity & value. *As a bonus we’ll give you a free digital content audit.